Put potatoes in a deep pot, cover with salted water, and bring to a boil. Immediately drain and let cool off for 10 minutes. 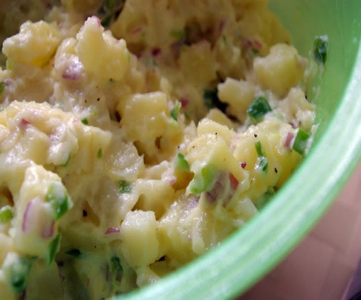 Gently toss potatoes with mayonnaise, herbs, cider vinegar, onion, and salt and pepper.